@PeterOlenick finally captured his first X Games gold medal this year, cementing his place as one of skiing’s biggest [and we mean that literally- he’s very tall] stars. Peter’s finally getting respect wherever he goes- except for the Olive Garden, since Peter says that his favorite thing to get there is “kicked out.” Read the full interview to learn more about the speedo-wearing man of the hour. Bio: This 25 year old pro skier has been on the competition circuit since 2002. In 2007 he wowed the crowd with his Whiskey Flip at the X Games, the first double pulled in the pipe, and took home the Bronze medal. 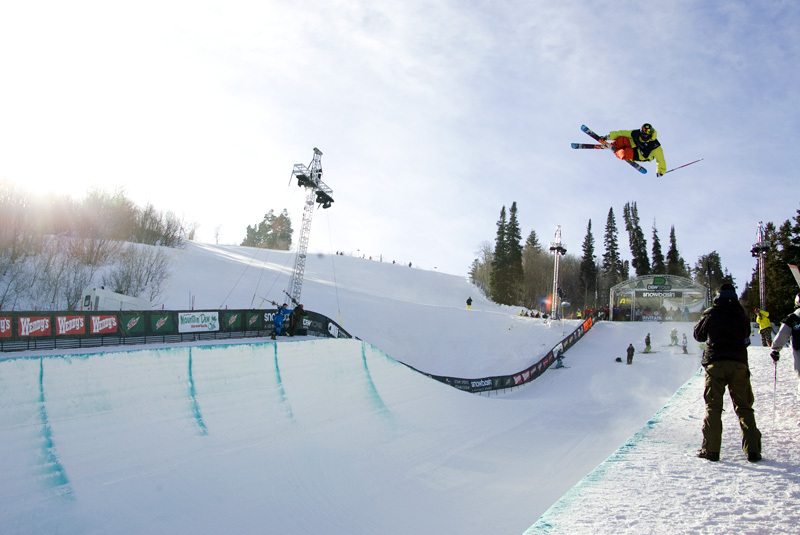 In addition to his pipe prowess, this Colorado native can also hold his own on the slopestyle course. This was evident when he double medalled at the 2004 Winter X Games. This year, he won the X Games inaugural high air comp with a 24′ 11″ Alley Oop Flatspin. Q: Lloyd Christmas described Aspen as a place where beautiful women instinctively flock like the salmon of Capistrano. True? A: This is very true. You know how trophy wife’s work right. Well they usually make beautiful babies. Aspen is full of them. Q: Did you fill out a bracket? Who was your pick to win it up? 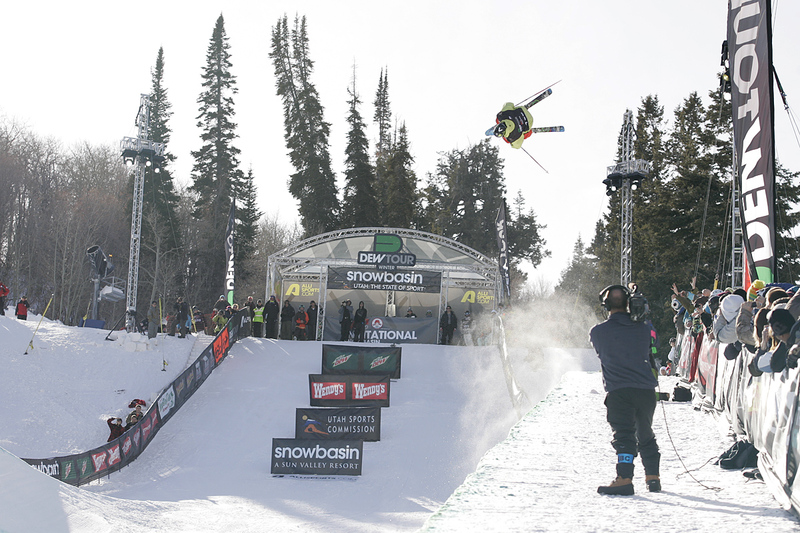 Q from @thedewtour: Have you ever used your height to intimidate another rider? Q from @EmpireAttire: Are you excited for the Dumont cup? What do you think of Maine? Q from @iwsnt1749: Ninjas or Pirates? And why? Q from @tjschiller: favorite snus? /////// @PeterOlenick A: extra sterk, for sure. Q from @katyrullo: This being an Olympic year, do you ever hope to see freestyle skiing in the Olympics? Why or why not? Q: If all the pro skiers were on a season of Survivor, who would win? Q from @gabefriendjones: When you get sick of the cold weather, where do you like to travel to warm up? A: I get sick of the cold weather when its summer and I am still skiing. I like to go to Hawaii, cruises are also nice. Q from @Shay_Will: favorite thing to get when ur at the Olive Garden? Q from @HewyCanuck: How’s it feel to finally have that elusive x-games gold medal around your neck? Where do you keep it? A: It feels awesome I have been in X for a long time and just finally got my gold. It’s framed hanging in our house. Q from @MattyHorn: Speedos or Boardshorts? and why? A: Speedos for sure, with a body as good as mine you cant be covering it up with board shorts. A: I wish i knew. I think it was maybe me, ha ha. I had to leave some room to go bigger next year. Q from @Dmills3: What is your favorite camera phone picture that you have received? A: I have gotten some really good ones. I like getting pics of the girls my friends are hooking up with. Final question of the day… @PeterOlenick Q from @bikerblue1972: Do you still get nervous at contests? And who is your biggest supporter? A (cont. ): much. I defiantly would not be here with out there help, also @SimonDumont06 helped me a lot this year. Thanks for joining us @PeterOlenick! This has personally been one of my more memorable interviews… And good luck at the Dumont Cup! @AlliSports thank you and thanks to everyone for all the awesome questions.